Calling the keen gardener and green fingers! Fantastic large garden just waiting fo you! Don't delay! View this super spacious simplex townhouse situated in tranquil corner with own private access and extra communal parking in front of the double garage. With a touch of paint and new bedroom flooring this can be a true gem. North facing and sunny home with lounge/dining room opening with sliding door onto own front garden, kitchen with walk-in pantry, 3 spacious bedroom of which 2 are facing north and 3rd opens with sliding door onto exceptionally big back yard. Double garage with automated door opening into back garden. This complex in Die Hoewes is popular because of its location - located on the Gautrain busroute in Jean Avenue, walking distance to various pre-schools as well as Doringkloof Primary school and various shopping centres nearby of which Doringkloof Mall, Jean Crossing and Centurion Mall. The Ben Schoeman and N1 freeway is easy accessible as it is in the middle of Botha Avenue and John Vorster turn offs. For easy medical care the Unitas Hospital is conveniently close as well as Lyttleton Police station and walking distance to the Centurion Cricket field. 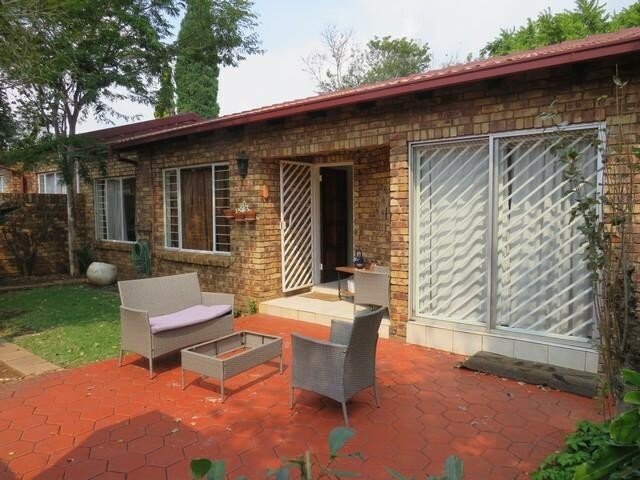 Die Hoewes is a suburb in Centurion with a community of town houses and affordable accomodation with plenty social spots and vibey restaurants closeby. This area is popular with young and old!